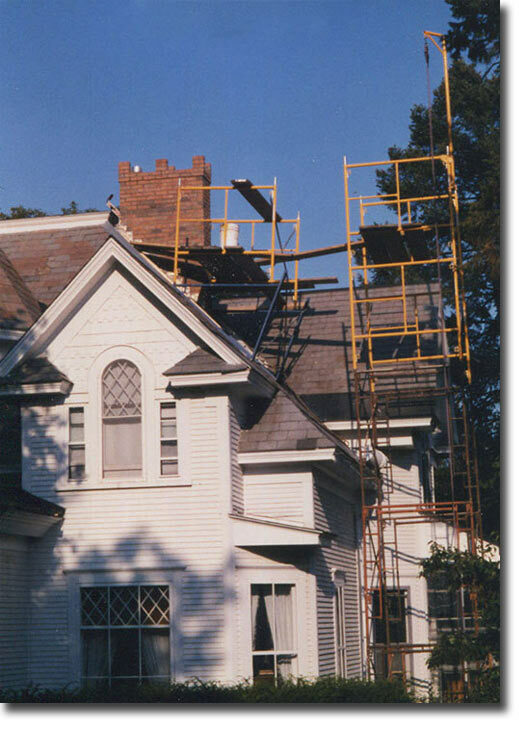 “For 20 years Artful Chimney Service has been working with Vermont Gas Systems and our customers to ensure safe and reliable venting systems. They are able to accommodate all aspects of chimney work; including cleaning, inspection, removing blockages, and installing metal liners. During the heating season a problem such as a plugged chimney becomes an emergency call requiring immediate attention; the owner/operator (Dave Kehoe) has always been quick to respond to our customer’s needs. “Much to my horror, I discovered that the chimney on my house, which was built in 1925, had started raining bricks. Realizing the danger this problem posed, I searched Angie’s List for chimney repair and found that exceptional reviews had been posted for Artful Chimney Service. I called immediately and was warmly received by Shirley, who quickly arranged for David to come out to assess the situation. David arrived, right on time and made short work of sorting out the problem, giving me a rough estimate on the spot. Never having had chimney work done before, I had braced myself for a goodly sum. David however, bowled me over with his estimate for the repair! I didn’t think people these days even climbed up on ladders, for what he had quoted me! Not to mention, in the meantime, I had discovered that David had previously done work on the chimney at my father’s house. The house being up for sale, was recently inspected and the chimney work viewed by various professionals, who raved about the quality of the work there. I couldn’t believe my good fortune in having happened upon this man!